Get ready for another massive Phoenix Sundays party on the cliffs of Uluwatu as we present two stand out artistes from the UK house scene. 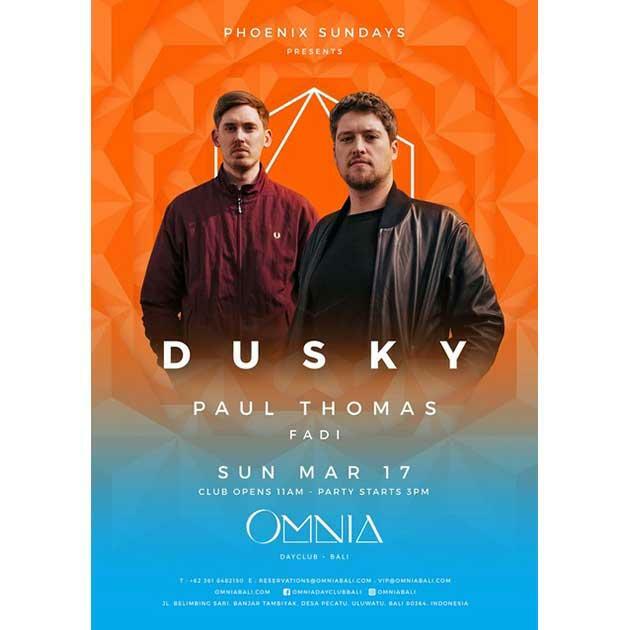 Headliners Dusky are revered for their diverse house sounds whilst Paul Thomas has firmly established himself as a leader of the new progressive sound. Support from Bali Praia’s Dj Fadi.